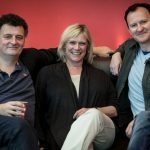 Hard to think of the word “teaser” when it refers to something that’s still almost four months away from filming and, roughly, nine months away from broadcast, but little mind-teasers are starting to leak out about the next set of the Sherlock series from the genius minds of Steven Moffat and Mark Gatiss. “Adler” refers to Irene Adler, a character from the short story A Scandal in Bohemia. She is considered to be a love interest in some versions of the detective’s tales. Rachel McAdams played her in the recent cinematic version of Sherlock Holmes starring Robert Downey Jr.
“Hound” refers to The Hound of the Baskervilles, one of the four novels by Sir Arthur Conan Doyle featuring the detective. The novel tells the story of an attempted murder inspired by the legend of a mythical hound. 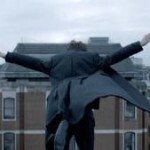 “Reichenbach” refers to the location in which Holmes and Moriarty have their final battle. Setting the DVR now. You? Sherlock 4 confirmed as we get title confirmations for Sherlock 3! A glimpse of Sherlock 3 from Steven Moffat's mind palace? Looking forward to this coming to PBS. Thanks again KERA and PBS for bringing fabulous programming to the US. Only three episodes?!?!?! Not enough!!! @Sarah: I’m afraid that’s it for the moment. The other not-so-good news is that production will be delayed due to the fact that filming of The Hobbit was delayed which stars Martin Freeman. 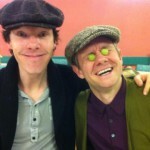 I’m guessing that the next three Sherlock episodes will not make it to the U.S. until Fall 2012. Let’s hope they make it earlier. Oh No!!!! This series is brilliant, we cannot wait for a whole year from now. Can’t the parts without Martin be filmed now please? @Rosalie: Update is that they are in the final week of filming in Cardiff and will then go into editing this Fall. Broadcast plans are for an early 2012 broadcast in the UK and a May 2012 broadcast in the U.S. on PBS. Thanks for the update Bill!!! I can’t wait for it to get to PBS. Sooooo can’t wait for it to get to PBS!!! Why the hell can’t the next 3 episodes broadcast on US PBS at the same time they do on BBC in Jan. 2012? Can a person in the US find a way to view the BBC aired versions??? @Lane: Has more to do with the packaging/format conversion and simple broadcast time availability for the delay. Some are quicker, some not so quick. In the case of Downton Abbey, this just ended on Christmas Day in the UK and PBS began on January 8, 2012. 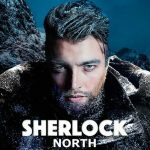 Because of the scheduling of DA running through February and with March being a national fundraising month, Sherlock was pushed to May as that was the first available timeslot in the Masterpiece series that was open. At this point, the only thing you can do in the U.S. is buy the UK version of the home video but remember that this will require a region-free DVD player as it won’t play on ordinary U.S. DVD players. Doesn’t solve your issue, but hope this helps some.